This is a presentation I worked on which outlines IPv6 in Mission Critical Environments; typical environments of customers of Schuberg Philis. Organized by the Internet Society, and building on the successful one-day World IPv6 Day event held on 8 June 2011, World IPv6 Launch represents a major milestone in the global deployment of IPv6. As the successor to the current Internet Protocol, IPv4, IPv6 is critical to the Internet’s continued growth as a platform for innovation and economic development. Do your part. Join the launch! IP version 6 (IPv6, see RFC2460) is a new version of the Internet Protocol, designed as the successor to IP version 4 (IPv4) [RFC-791]. The new Internet protocol was designed in the 1990’s and, rather than using the 32-bit addressing system, it uses a 128-bit system. That gives us 2128 or 340,282,366,920,938,463,463,374,607,431,768,211,456 IP addresses and is enough for the Internet to continue to grow. Because of the rapid IPv4 address exhaustion it is imperative that the world starts using the new protocol version now. The old and new protocols are not directly compatible; an IPv4 device is not able to communicate with an IPv6 device. Therefore a number of steps have to be taken before world wide deployment can be realized. Technology has to be updated, personnel has to be trained and above all: awareness has to be created. Many people not familiar with the matter often ask this, what seems a very logical, question. The protocols that operate at the Network Layer of the OSI model of computer networking, like IPv4, IPv6, ICMP, ICMPv6, IGMP, IPSec etc., have been assigned protocol numbers. Protocol number 5 could not be used as the successor to number 4 because the Experimental Streaming Protocol Version 2 (ST2, see RFC1819) had already been assigned to it. IPv6 increases the IP address size from 32 bits to 128 bits, to support more levels of addressing hierarchy, a much greater number of addressable nodes, and simpler auto-configuration of addresses. The scalability of multicast routing is improved by adding a “scope” field to multicast addresses. And a new type of address called an “anycast address” is defined, used to send a packet to any one of a group of nodes. Some IPv4 header fields have been dropped or made optional, to reduce the common-case processing cost of packet handling and to limit the bandwidth cost of the IPv6 header. Changes in the way IP header options are encoded allows for more efficient forwarding, less stringent limits on the length of options, and greater flexibility for introducing new optionsin the future. A new capability is added to enable the labeling of packets belonging to particular traffic “flows” for which the sender requests special handling, such as non-default quality of service or “real-time” service. 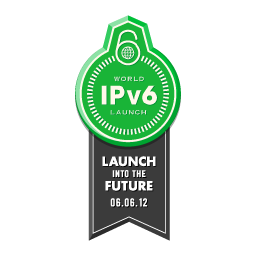 Extensions to support authentication, data integrity, and (optional) data confidentiality are specified for IPv6.